GCB - 1 Jan 1957 (CB - 1 Jan 1946), KCVO - 16 Jul 1953, KBE - 1 Jan 1953 (CBE - 1 Jan 1945), AFC - 8 Jun 1939, MiD - 1 Jan 1941, MiD - 24 Sep 1941, MiD - 2 Jun 1943, Cwn-P (Cdr) - 11 Jul 1947, CdeG (P) (B) - 11 Jul 1947. Plt Off: 31 Jul 1924, Fg Off: 31 Jan 1926, Flt Lt: 13 Nov 1929, Sqn Ldr: 1 Oct 1936, (T) Wg Cdr: 1 Jan 1940, Gp Capt (T): 1 Sep 1941, Wg Cdr: 14 Apr 1942 [1 Jan 1940], Act A/Cdre: 17 May 1943, Gp Capt (W): 17 Nov 1943, (T) A/Cdre: 1 Oct 1944, Gp Capt: 1 Dec 1944, A/Cdre: 1 Jul 1947, Act AVM: 26 Apr 1945 – 19 Mar 1946, Act AVM: 26 Jul 1948, AVM: 1 Jul 1949, Act AM: 7 Apr 1953, AM: 1 Jan 1954, ACM: 1 Jan 1956, MRAF: 1 Jan 1958. 31 Jul 1924: Granted a Permanent Commission. 31 Jul 1924: Pilot, No 17 Sqn. 15 Dec 1925: Pilot, No 1 Sqn. 1 Nov 1926: Pilot, No 6 Sqn. 26 Apr 1927: QFI, Central Flying School. 5 Oct 1929: Assistant Adjutant/QFI, No 601 (County of London) Sqn AuxAF. 21 Jan 1936: Attended RAF Staff College. 2 Jan 1937: Officer Commanding, No 83 Sqn. 19 Jul 1937: CFI - RAF College, Cranwell. 21 Nov 1939: Staff Officer, HQ AASF. 28 Jun 1940: Air Staff - Operations, HQ Bomber Command. 21 Nov 1940: Officer Commanding, No 83 Sqn. 17 Feb 1941: Assistant Secretary, Committee of Imperial Defence. 17 Jan 1942: Officer Commanding, RAF Stradishall. 17 May 1943: SASO, No 83 Group. 26 Apr 1945: AOC, No 85 (Base) Group. 20 Jul 1945: AOC, No 11 Group. 2 Apr 1946: Attended Imperial Defence College. 5 Apr 1951: AOC, No 1 (Bomber) Group. 1 Feb 1960: Placed on Half Pay. Dermot Boyle became the first ex-Cranwell Cadet to reach the position of Chief of the Air Staff. He qualified as a QFI at the CFS in 1927 achieving a rare 'A1' rating. Whilst serving at the Central Flying School in 1928, he led the school's display team of two Genet Moths, the other pilot being fellow instructor, Richard Atcherley. However, he nearly did not achieve his ultimate greatness. He was carrying out a low slow roll in one of the School's Tomtits, when the engine cut out. The aircraft crashed and was declared a write-off but Boyle walked away owing to the strength of it's metal construction. In 1935 he had the privilege of taking The Queen Mother (then the Duchess of York) for her first flight. This took place from the grounds of Sir Philip Sassoon's residence in a Puss Moth. The flight resulted in an instruction from the Air Council that members of the Royal Family where not to be flown "in conditions unbecoming of their station". 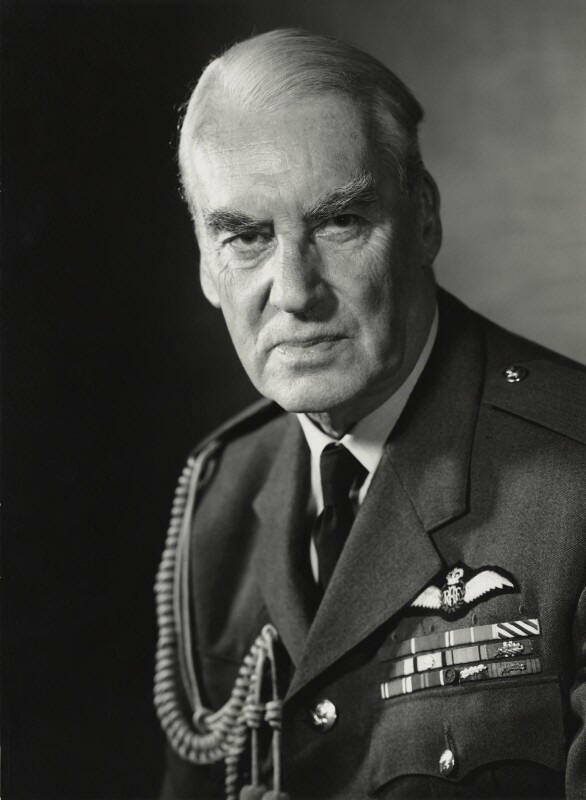 Appointed to the staff of the Advanced Air Striking Force in 1939, he was tasked with the organisation of the final withdrawal of the Force’s remaining units through Brest and together with his AOC, became one of the last RAF officers to leave France.